Mitcham Clock Tower is coming back to its home in Mitcham town centre after some much needed refurbishment. 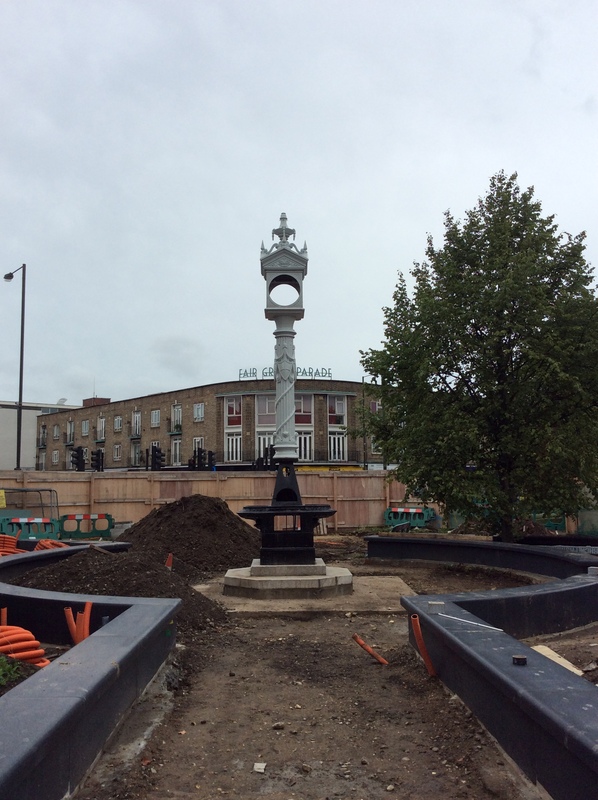 The first phases of the clock being installed in its new position are underway and gradually, residents will see this familiar landmark restored to its former glory over the coming weeks as it is brought back to full working order, with the drinking fountain at its base supplying water once more. In a few months, new bespoke electric lanterns will be fitted where gas lamps once lit the clock face, so the time will be illuminated for all to see. The clock was carefully dismantled in November last year and is being restored by Surrey-based specialist clock makers Gillett & Johnston at their workshop in Bletchingley. 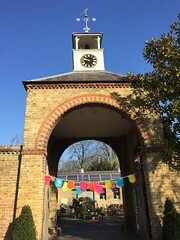 The Grade II listed clock tower was originally unveiled at Fair Green in 1898 to commemorate Queen Victoria’s Diamond Jubilee. It originally stood on the site of the old village pump which was a few metres from the new cafe on the Green.